USGS Map of Watsonville, noting the station, from 1914. The history of an entire city is truly beyond the scope of a single article, and this historian will not attempt it here. These articles focus first and foremost on individual railroad stops, and that is how Watsonville will be treated. Other articles will expand on the Watsonville freight yard and its importance to Santa Cruz County, especially after the turn of the century. This article, however, is about a rather important, but not spectacularly so, station near the southeastern end of the Southern Pacific Railroad's Santa Cruz Branch. Watsonville was devised by Judge John H. Watson and D.S. Gregory on 5,496 acres of land illegally seized from Sebastian Rodriguez, owner of Rancho Bolsa del Pajaro in 1851. The rancho was a Mexican land grant awarded to the Rodriguez family and in its initial years it was called Rancho Bolsa de los Rodriguez but it was later named after the abundance of seabirds (los pajaros) that nested in the sloughs around the property. The first American settlers arrived in 1852 but it would be more than a decade before the town formally came into being. In this time, a few major road arteries were put in place, primarily Pajaro Street (soon renamed Main Street), and the Santa Cruz-San José turnpike. The Pajaro River to the southeast established the towns boundary there, while nearby sloughs kept the town relatively boxed in. Watson and Gregory did not initially name the town "Watsonville", but rather called it "Pajaro", after the river. A local sheriff deputy, H.F. Parsons, is generally considered the person who named the community after Watson, calling it in a police report "Watsonville". Watson moved to Idaho in 1865 and never returned, but the town adopted his name when it was incorporated on March 30, 1868. The town's first post office (and the second in the county) was established there in November 1853, though under what name is not certain. The first school in town opened that same year in a private house, with a permanent schoolhouse erected in 1864. A high school was later erected nearby in 1894. The town later became the City of Watsonville in 1903. A Claus Spreckles wagon down the tracks from Watsonville Station, c. 1880s. Railroading and Watsonville were early companions. 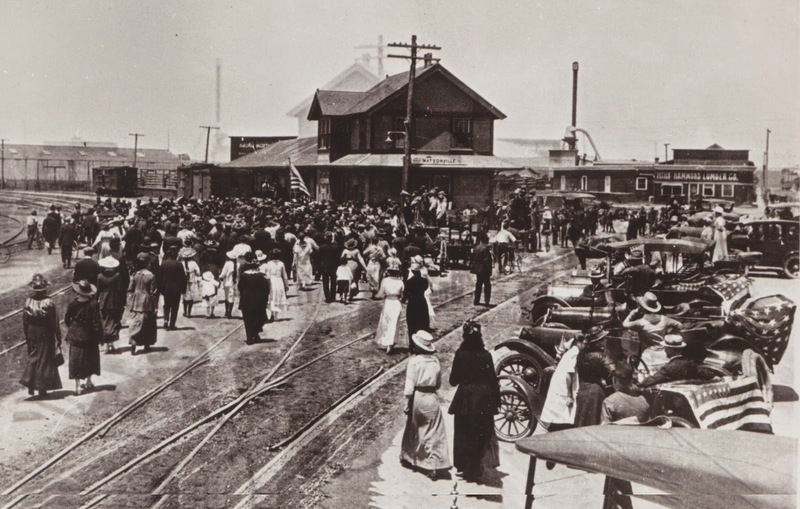 A year before the town was incorporated, the California Coast Railroad Company was incorporated to connect Gilroy and Watsonville together, thereby bringing Gilroy in contact with the sea, and Watsonville in contact with the Santa Clara Valley. Frederick Augustus Hihn was an investor in this early line and would continue to invest in local railroading ventures into the 1870s. He desired nothing less than to control the means of shipping out lumber from Santa Cruz County. In March 1868, the San Francisco & San José Railroad merged with the Santa Clara & Pajaro Valley Railroad, thereby forming the Southern Pacific Railroad Company. The Southern Pacific's long-term goal was to reach deep into the Central Valley and eventually to Arizona where it would connect with a transcontinental route. A few months afterwards, the Southern Pacific absorbed the Central Pacific Railroad, thereby becoming the largest railroad company on the West Coast. 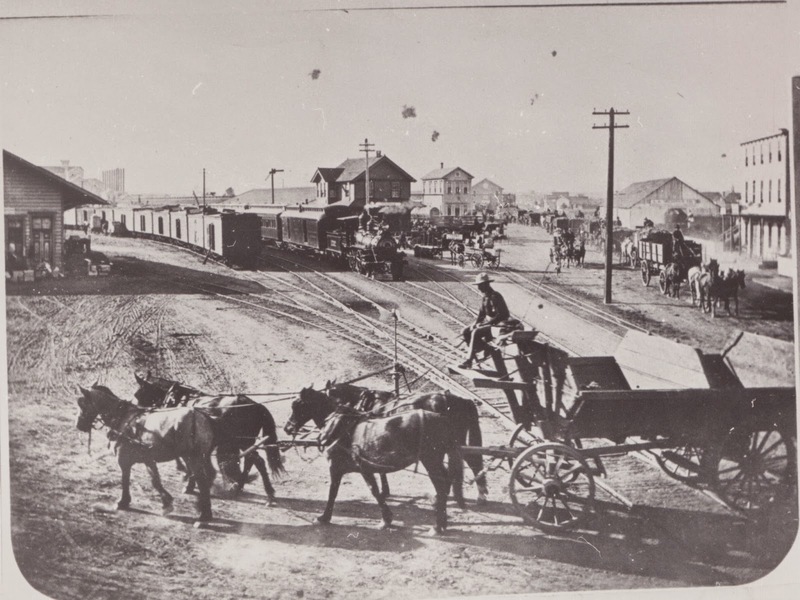 Watsonville entered the game in 1870 when the California Southern Railroad Company, a subsidiary of the Southern Pacific, sought to connect Gilroy to Salinas via Watsonville on a 45-mile-long track. In the second half of 1871, the line was completed, but it did not pass through Watsonville as planned, but instead remained on the south bank of the Pajaro River, at the small community of Pajaro. While locals now had access to the railroad, they had to cross the county line to get their wares to the trains. The situation was problematic, but manageable. But Frederick Hihn and the residents of Santa Cruz were not happy. They demanded to have a railroad that went all the way to Santa Cruz. In 1872, the Santa Cruz & Watsonville Railroad was founded to meet this need. Initially, funding fell through and agreements with outside lines fell apart. 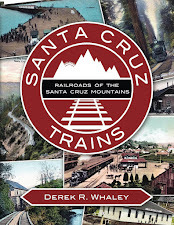 The company was reincorporated in September 1872 as the Santa Cruz Railroad; it would be locally built and narrow-gauged, but it would bring the railroad through Watsonville to Santa Cruz. Financial panic the next year stalled progress but it began in ernest in mid-1873. Watsonville, however, who voted against the railroad and saw no need for it suddenly found itself locked out of negotiations, with grading crews wrapping the track west of the city, thereby bypassing it. In December 1874, the town sued the railroad, stating that they had reneged on terms from 1873. The proposed "Watsonville Station" was not close enough to the city to meet the terms of the agreement. The court agreed with Watsonville and the track was realigned to run closer to Watsonville. Construction progressed rapidly from both ends. The initial construction had begun in Santa Cruz heading toward Watsonville, while bridgework on the Pajaro River bridge began as soon as the dust settled on the issue of where to align the track near Watsonville. On May 7th, 1876, the railroad line finally opened to the public, with Watsonville the first stop on the northern run to Santa Cruz. 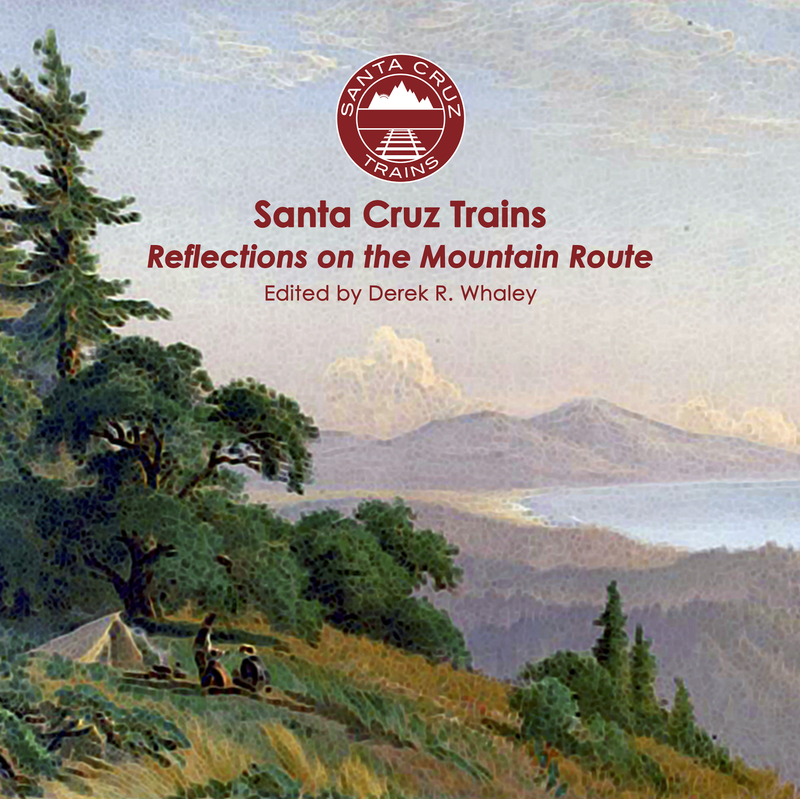 The Santa Cruz Railroad went through a turbulent five years before finally being acquired by the Southern Pacific in 1881. Soon afterwards, the tracks were completely overhauled and standard-gauged, allowing them to compete somewhat with the narrow-gauged South Pacific Coast route over the Santa Cruz Mountains. Watsonville, in this long story, remained an important lynchpin in the plan. Besides acting as the southern base of the county, the route through Watsonville to San Francisco also remained shorter until the completion of the Mayfield Cut-Off in 1909. Freight sent via this route got to San Francisco faster generally if sent from south of Santa Cruz. Watsonville was located 101.8 miles from San Francisco via Pajaro Junction, 18.4 miles from Santa Cruz, and 1.8 miles from Pajaro Junction. The station served as the western terminus of the Pajaro Valley Consolidated Railroad, a narrow-gauged route that ended outside of Salinas and operated from 1890 until 1929. The station had 20,485 feet of siding and spurs, many of which went to local businesses that maintained partnerships with the Southern Pacific Railroad and will be discussed in other articles. After 1909, the station was 97.5 miles from San Francisco via the Mayfield Cut-Off. 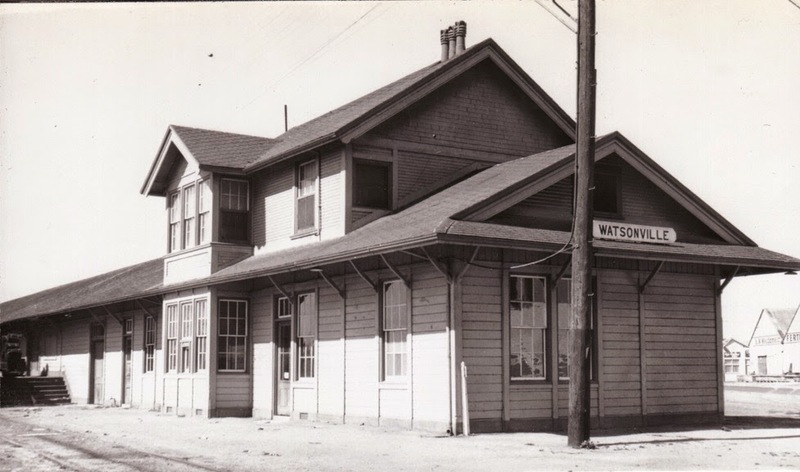 The station provided passenger, freight, Railway Express Agency, and telegraph service, and was a major switching point for local trains running between Santa Cruz and Watsonville. It also featured access to the local streetcar line that ran down Beach Street to the Watsonville Wharf and Camp Goodall. Passenger service at Watsonville Depot ended in 1938, but freight service continued until very recently. Suntan Specials, as well as other excursion trains, ran continuously through to 1959, after which they became less common, disappearing entirely after 1965. Spurs to various local freight concerns still exist today around the site of the depot. The depot, meanwhile, has survived all this change and remains at the junction of West Beach Street and Walker Street. The remnants of a few spurs can be found in the asphalt near the station while pieces of historic siding run all the way down Walker Street on both ends, misperceived today as parking stops but once freight loading locations. Santa Cruz County now owns the right-of-way in this area and passenger service may well resume in the coming years as the Santa Cruz & Monterey Bay Railroad attempts to restart all types of service along the line, with Watsonville being one of the major planned stops. history in STEINBECK COUNTRY NARROW GAUGE by Horace Fabing and Rick Hamman. the branch stating the line was being maintained for "light freight service only." Fortunately, in 1996, somebody changed their minds, but just for then. Thanks for the corrections, Duncan. I edited them above. I had just forgotten to write "Consolidated" and I was using the SP junction notes for its dates, which is why I did 1906 to 1926—those are the years the SP said they met. I'm not surprised it started before and lasted after those dates. I wish I could get that book in a digital copy. I didn't even think about it when I left. As it is, I didn't copy the chapter from Central Coast Railways on the Monterey stuff and I don't have any books on the subject. The next few months may be interesting in regard to the new content on this blog! Valley Consolidated. I would say two photos and a few sentences! Good to know. I know Hamman wrote a section on something else...perhaps it was the Salinas branch of the SP. I don't remember; I hardly read it and it was years ago. Now I wish I had paid more attention to it. I found a couple of typos in the article. Rodriguez is spelled with s once and the word feel should be fell in the paragraph with Hihn's RR. Thanks for the history lesson. I just have one question, Before 1850s or before Mr Rodriguez was in the picture do you know if Watsonville was ever under water?? I'm not quite sure what you mean by "under water". It has flooded a number of times by the Pajaro River and the nearby sloughs. During Spanish and Mexican times, the current city was largely just a marshy flood plain, so it probably flooded frequently. The only permanent residents were a few scattered ranchos. It has never been completely submerged in modern times, however, nor has any of California's Pacific Coast. The old station is on fire right now. Luckily, the station has survived the fire and is currently being remodeled. The Santa Cruz County Regional Transportation Commission has just approved a plan that would include the station being used as a stop along the "Santa Cruz Scenic Railway".